Do you want to actually achieve your New Year’s goals and resolutions this year? If so, order your spiritual New Year’s guide for creating lasting change now. This guide is for anyone – no matter your religious affiliation or background – who wants to set and accomplish their goals this year – or at any time during the year! Only four out of five people who go to the trouble of setting New Year’s goals ever achieve them. Interestingly, we call these New Year’s “resolutions,” but it seems few of us really resolve to accomplish them. Think about that word – resolve. It has such a negative connotation. It isn’t that we want to make the change. We are resolved that we must. With that attitude, it’s no wonder we don’t change or achieve our goals. If we aren’t passionate about the goals we set, if we aren’t committed at a deep level to achieving them – and if we don’t have the tools to actually accomplish them, we quickly will go right back to our old ways. Both the secular New Year and the Jewish New Year, called Rosh Hashanah, mark the end of one year and the beginning of another, although each commemorates the old and brings in the new in a slightly different manner. 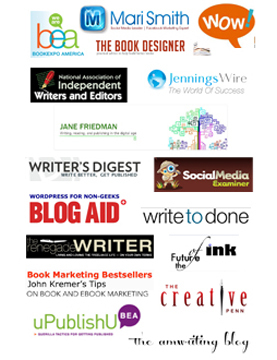 Yet, each has one thing in common – a focus on developing New Year’s resolutions or goals. These goals may be personal, professional or spiritual. They may involve business and career, health and well being, relationship and romance, prayer and ritual. No matter what goals you set, the New Year marks a time of turning over a new leaf, starting fresh, doing things better, this time – maybe – actually following through and achieving those goals. It’s a time of turning – t’shuvah – away from past misdeeds and missed targets or goals and towards your best self. Whether or not you are Jewish, Judaism’s way of looking at the New Year and the goals we set at that time, provides a helpful guide for actually achieving these goals and creating lasting change in our lives. If you are Jewish, you’ll enjoy reading this workbook and taking a deeper look at how your religion can help you create change in your life. If you follow another religion, or if you are not religious at all, simply take what you can from the ancient wisdom and philosophy included in its pages and put it to use in your life. 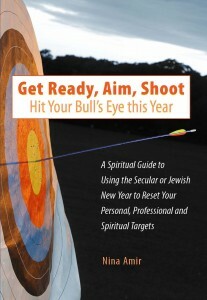 Don’t be put off by the Jewish terminology or teachings in Get Ready, Aim, Shoot, and Hit Your Target.Simply look for the wisdom, the tools, the principles, or the exercises that feel right and useful to you.In fact, they are pertinent to Jews and non-Jews, to anyone from any religious or spiritual background. Then put them to work in your life this year. In fact, put them to use right now. You’ll be amazed at the results you’ll achieve.